Two separate systems tootling 140kw to produce all the power necessary at the mill and a substantial amount of excess that Highland Hardwoods is donating to the Town of Brentwood to help with their electric bill. 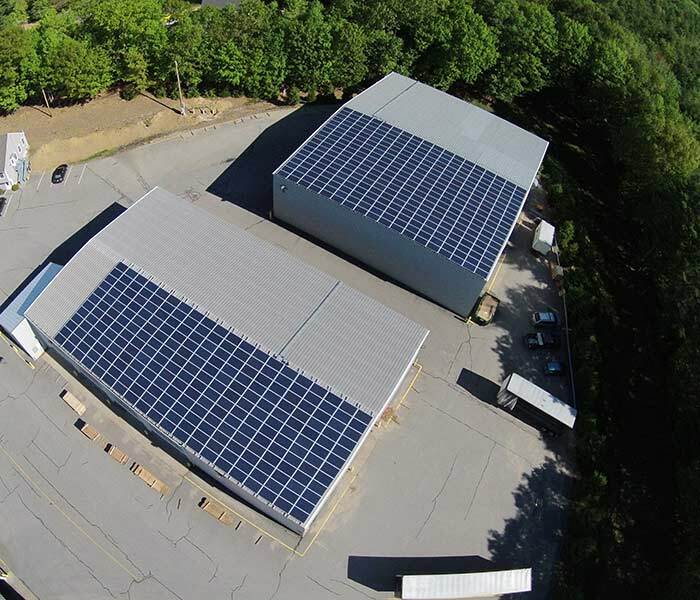 The system is a total of 550 225 watt panels with 7 SolarEdge 20kw 480 volt three phase inverters. In order to get the maximum production and least cost of materials two electric services were upgraded from 3 phase 208 to 3 phase 480. Transformers were installed to power existing systems.